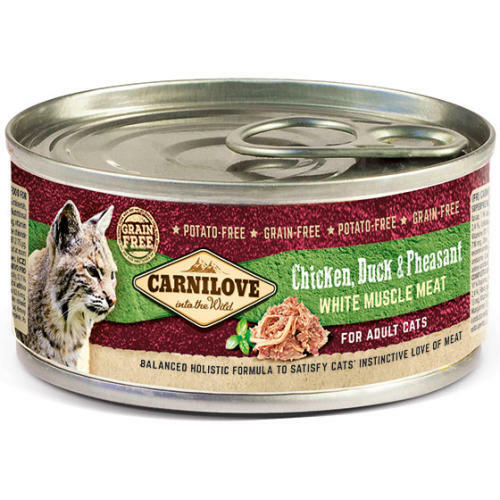 Carnilove White Muscle Meat Chicken, Duck & Pheasant Adult Cat Food is a delicious grain and potato free recipe that's bursting with goodness and flavour. The Chicken, Duck & Pheasant recipe is a balanced, holistic formula to satisfy cats' instinctive love of meat, perfect for hungry kitties! Crude protein 10.6%, fat content 6.6%, crude ash 2.4%, crude fibre 0.4%, moisture 79%.